CBS is a unique business university with 630 lecturers and researchers, around 200 PhD students and 700 administrative staff. More than 20,500 students are distributed on bachelor, master, MBA/EMBA, PhD and Executive programmes taught in Danish and English. The faculty of CBS includes international experts in the classical business disciplines but also philosophy, history, psychology, sociology, law, politics, information systems, culture and language. 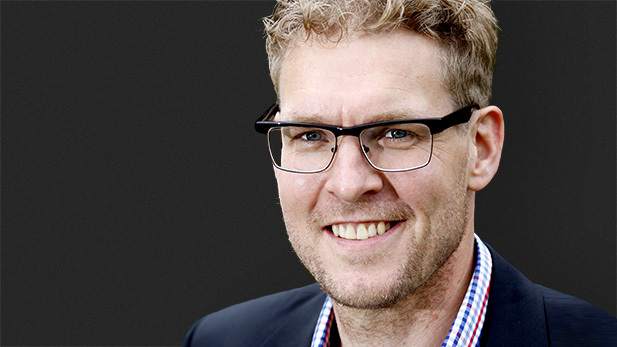 CBS has appointed Nikolaj Malchow-Møller as new president. He is professor of economics, has served as director of research at the Centre for Economic and Business Research (CEBR) at CBS and is currently dean at the University of Southern Denmark (SDU). The CBS Board of Directors has placed special emphasis on Nikolaj Malchow-Møller’s experience of university management, initially as head of department from 2009 to 2014 and subsequently as dean from 2014, including the results he has achieved and his top executive potential, and finally, his insight into academia and his extensive knowledge of research and education at CBS. ”The Board is pleased to welcome Nikolaj Malchow-Møller to CBS. With Nikolaj’s personal and professional competences, the Board is convinced that his collaboration with the Board, CBS’ employees and students will have great impact on the ongoing development of CBS,” says Karsten Dybvad, Chairman of the CBS Board of Directors. Nikolaj Malchow-Møller is 45 years old and has had an academic career in management at SDU, where he was appointed as head of department in 2009. Since 2014, he has served as dean of SDUs Faculty of Business and Social Sciences. In addition, he has been affiliated with the Department of Business and Economics at SDU as professor since 2012. Nikolaj Malchow-Møller is well acquainted with CBS, e.g. through his employment as director of research at the CEBR between 2005-2009. Nikolaj Malchow-Møller will take on the position on 1 March 2019 and replace Per Holten-Andersen, who will remain president until 28 February 2019. Born in 1973. Married, 3 children. PhD in Economics, University of Aarhus, 2002. MSc in Economics and Econometrics, University of Southampton, 1998. BA in Economics, University of Aarhus, 1996. Martin Kramer-Jørgensen, Head of the President’s Office and Communications, tel. : + 45 2343 3554 or Public Relations Officer Mikael Koldby, email: mik.comm@cbs.dk.